STUDENTS at teachers' colleges are now required to learn at least three indigenous languages to ensure that they can be deployed anywhere in the country, a Cabinet Minister said yesterday. The new policy takes effect when the next intake of students starts and principals at teachers' colleges have already been told about the changes. The country's Constitution adopted in 2013 recognises 16 official languages. 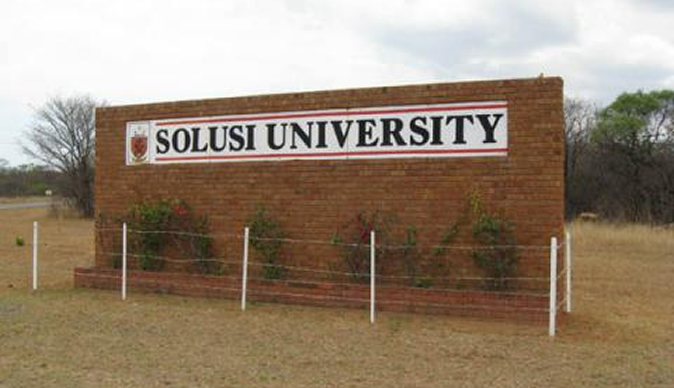 Addressing academics during a tour of Solusi University, Higher and Tertiary Education Minister, Professor Amon Murwira, said this was a new policy introduced by his Ministry. "All our students when they are learning must learn at least three languages so that as a Zimbabwean you can go and communicate with elders anywhere in the country. We are saying besides your mother tongue that you were born with, you must learn three others in the Constitution. You can see it in South Africa, it's not part of the education system but if you are in Gauteng Province, you can speak any language," said Prof Murwira. "Why should I have myself talking in English and being translated to somewhere down in Bulilima, it's not quite right so we want to take practical steps. "The future is now so we are going to do it because it's constitutional and so we must make sure everybody in teachers' colleges does it. "I don't know how practical it is in universities but it's so practical for teachers' colleges that they already start doing that because we've had problems where teachers are teaching Grade One and they are speaking in English. It's not right. Surely we can solve this, it's very easy actually." In Matabeleland provinces, some educationists and analysts have said the language issue was partly to blame for the poor pass rate in the region. The issue of non-Ndebele speaking teachers has been brought up at a number of fora and Government has since decided to address it. Prof Murwira said the policy shift in terms of languages was meant to ensure diversity and inclusivity regardless of ethnic background. "So we want to start a culture of inclusivity. From Zambezi to Limpopo from Hwange to Mutare it's ours, so we must be comfortable in every centimetre of the country and it comes from the Ministry of Higher and Tertiary Education. If we don't do this, nobody will do it. This is the vision we are having for languages and its constitutional, it's just will power which was not there so will power is there full time," he said. Prof Murwira encouraged academics to work hard for the good of the country.